J.M. 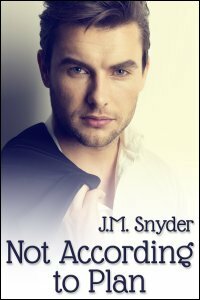 Snyder » Not According to Plan is an ARe Best Seller! Not According to Plan is an ARe Best Seller! My e-book Not According to Plan is a best seller on All Romance eBooks! Now Jonathan’s boyfriend is out of the picture, and he’d love nothing more than for Peter to ask him out again, but he knows his partner all too well. Peter doesn’t take rejection easily. He likes flirting with Jonathan, sure, but doesn’t want to take the chance of getting turned down a second time. He’s satisfied with the way their friendship is, and fears anything more intimate might ruin what they already have. Read an excerpt or buy your copy today!